Home › Janathon › #Janathon Day 1- A Nice run with the boy! #Janathon Day 1- A Nice run with the boy! First day of the New year – means the first day of JANATHON!!!!!! I had decided My son decided that he wanted to run with me more, so this is the year that it is happening! Now any runner that has kids, has no choice but to be excited that their kid wants to “be like them” and go running with them. I am certainly no different on that score when i told my son he wanted to run with me when Bryce said he wanted to run more with me. When he informed me that he wanted to run a 10k with me? AWESOME!!!! Not only did he voluntarily choose to run with me, he chose to do so, instead of playing Video Games! Any time an 11-year-old chooses to go outside and exercise over playing a video game he has just started – is a win. No other way to put that! We headed out, he was hoping for two miles, but my phone wasn’t in a very convenient location for checking. We discussed it and agreed to go until we felt like turning around. It turned out that was at a bit over a mile and a half, when we encountered an orange fence blocking the sidewalk, and a side cramp creeped its way in for my boy. If those weren’t good signs we should turn around, I don’t know what would be! He did very well, only had to stop twice for side cramps. I take responsibility for it as I had forgotten to keep my lessons learned from our last run. What I DIDN’T do for him this time, was keep our speed down. have found if we keep it a certain level, he doesn’t get the cramps. Oops! I promise to do better next time! 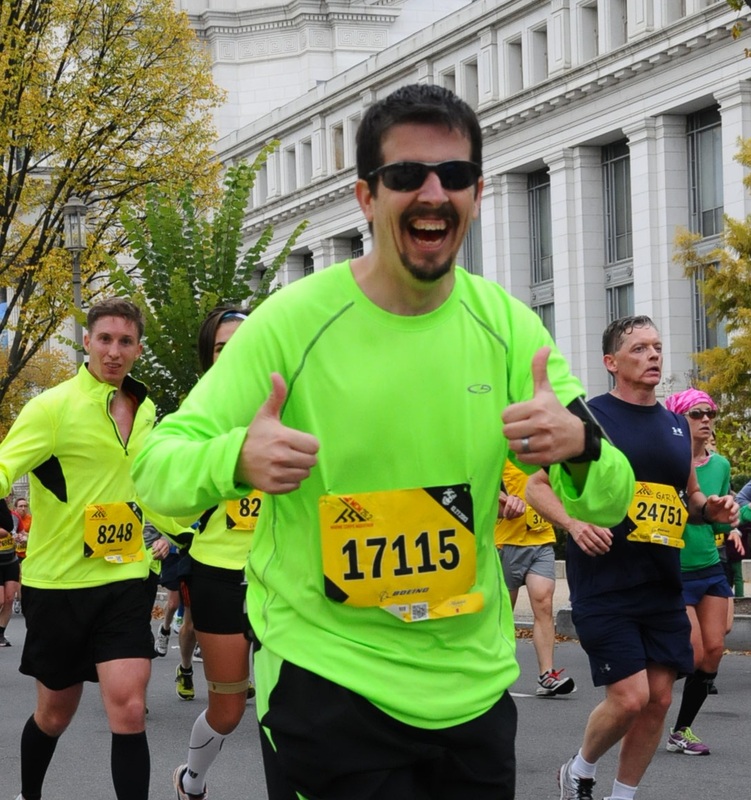 Now there was a brief bit in mile 2, where he was stretching and I quick ran up a road I had wanted to see. But that is the only part he wasn’t in. He did great through the run, and plans on continuing with me! 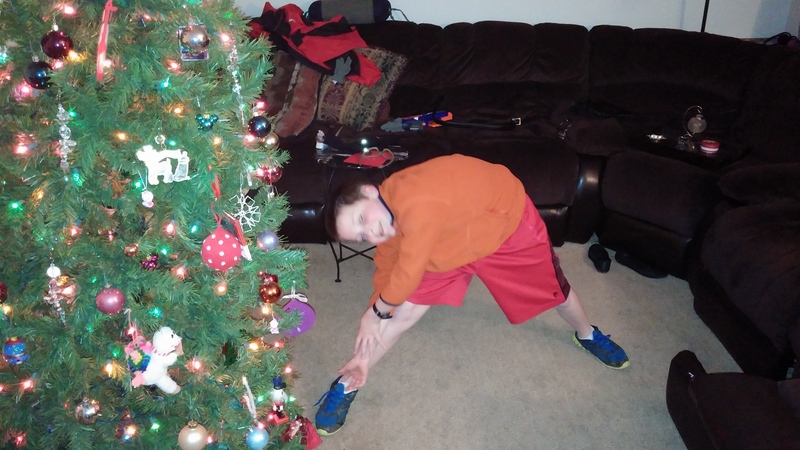 He also makes sure we stretch after running! I think this is a fantastic start to Janathon!